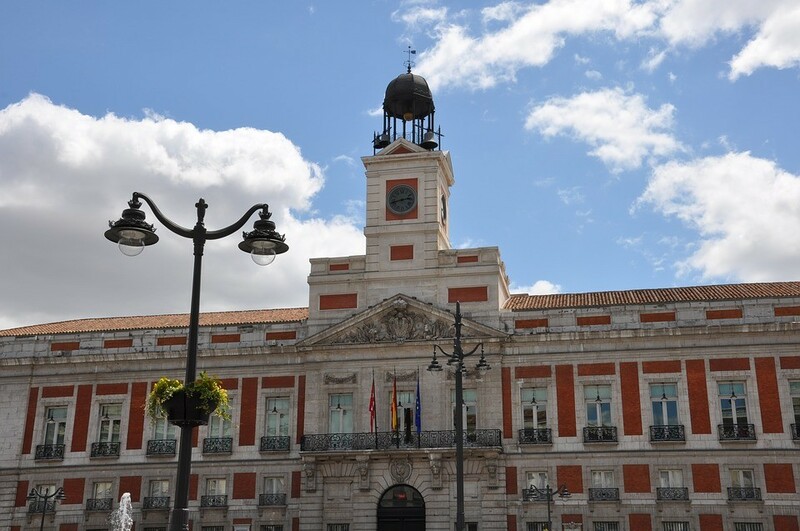 The Puerta del Sol is Madrid's most famous and central square, located just a short walk from the Plaza Mayor. 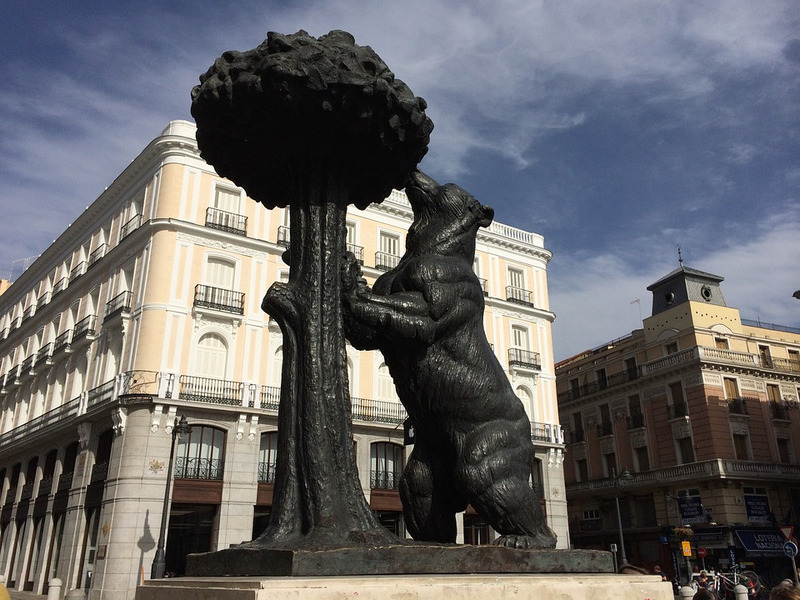 The Puerta del Sol is Madrid's most famous and central square, located just a short walk from the Plaza Mayor. Originally it was the site of one of the city's gates, facing the east and adorned with an image of the sun, hence the square's name. Since it is now Madrid's most central location, it is a perfect area to stay in with numerous hotels, hostels and tourist appartments. Aside from the multiple accomodation, bars, shops and restaurants that can be found in the area, the square hosts the Casa de Correos (Post Office), the Zero Mile marker (km 0), an equestian statue of King Carlos III, the tower clock -which dates back to the 19th century and is the selected landmark for the New Year's countdown) and the beautiful statue El Oso y el Madroño (The Bear and the Strawaberry Tree), the emblem of the city. The prominent Tío Pepe neon sign is almost equally famous, and it has become one of the iconic images of the city, often referenced in pop culture.